Maybe I’m just old-fashioned or I just can’t help myself or I’m too old to change my heart and mind, but I believe in God. Not a deaf and mute god that just sits and blankly stares all day. But a big and mighty God, Creator of everything, Savior of the world, Lover of my soul. I believe in the Great I AM, Heaven and Hell, and every word on every page of His Holy Word. I believe that the only way to Heaven is through the blood of Jesus Christ. I can’t earn my way there and I can’t make myself worthy enough to get there. It’s just not within me. I was born into sin and without my belief in God and Jesus and the Holy Spirit, I will die in sin and receive an eternal sentence in Hell. It bothers me that many don’t believe for one reason or another. But that’s their choice. I can’t change their mind and I won’t even try unless it’s up for debate. God created us with a free will so who am I to try to take it away. I just feel bad for the unbeliever. Where do they put their trust when troubles come in like a flood? Friends let us down. The family can’t always be there. Strangers don’t care. So where is their hope? The church can only help lead us to salvation but it can’t save us. And in some churches, everything and everyone but God is allowed in. But we can find Him on a fishing bank or in a barn or under a tree; anywhere and everywhere we go He is there and ready to speak to our hearts and to cleanse and make us whole. It only takes one simple leap of faith. Why is that so difficult for so many to do? Why is it so easy to believe in nothing and so difficult to believe in God? Believe it or not, God is alive and well. He sent His Son to die that we might have life. He loves us more than we love ourselves and wants what’s best for us. He heals broken lives, shattered hearts, and troubled minds. He is always on call, every minute of every day. Believe it or not, it’s either your eternal gain or your eternal loss. I pray it’s your eternal gain. When I was a child, going to Sunday school and church was as much a part of me as putting on my clothes. I wasn’t made to go, I wanted to go. Childhood memories flood my mind with Billy Gram crusades, Oliver Green tent revivals and meeting in the preacher’s house, then in his garage, then in a circus tent while the church was being built. Laughing, I remember the preacher’s rattle-trap van bouncing me up and down and banging my head against the window as he drove through deeply creviced ditches to pick up poor kids for Sunday school. Mr. and Mrs. Sterling were more than preacher and wife; they were our family’s best friends. Mr. Sterling often brought us bags and bags of groceries telling mom that God told him we needed them. He prayed over my baby brother one day who suffered a bowel obstruction. When mom sat him on his potty, everything broke loose and he never suffered bowel problems since. I felt safe in the church; like I belonged there. I enjoyed being with my friends, memorizing scripture, having Bible drills, and singing and playing my accordion. And I liked that the church was plain and simple, not big and fancy that seemed more like a morgue than a church. It was a little, cinderblock mission where babies were allowed to cry, Baptisms took place in freezing cold creeks under God’s blue skies, and get-togethers were hot dogs and weenie roasts and kids wading in the creek and catching tadpoles in jars. I always felt that people needed to be in church and always encouraged my brothers to go, thinking that it would somehow change their lives. And I’m not saying that it doesn’t change people’s lives, but it’s not the church that changes people, it’s a repentant heart and the cleansing power of Jesus Christ. And there are many people sitting in their pews thinking that because they go to church they are going to Heaven. Sadly, along with many years of attending church, come heartaches and misunderstandings, gossip and quarrels, cliques, and favoritism, frustration, and burn-out. Instead of being the perfect place for coming together and working things out, some leaders prefer to sweep conflicts under the rug and hope no one notices there are problems in the church. And then they wonder why people emotionally and physically drift away. I feel that many in the world today are either looking for something they long for in church or have lost hope of ever finding it and given up. And many may never find Christ as a result of it. I’m thankful that I grew up in church and remember the good times. I’m thankful that I asked Jesus into my heart when I was five years old. I’m thankful that we have a warm and loving relationship and that He is always by my side regardless of whether I’m praising Him in church or sitting on my back porch or in my living room in front of a cozy fire. I wish I could say I miss going to church. The truth is, my heart is totally at peace with not going. Many don’t understand why I feel the way I do, but God does. He knows and understands the deep hurt and the tears I’ve cried over things that destroyed my trust and turned my heart away. And where I expected to find love and understanding and let’s sit down and talk about this I found cold indifference; a total lack of concern. After more than three years, I’m still struggling with hurt and anger and confusion. Call it a bruised ego, an unwillingness to forgive; whatever you want to call it. I call it a grieving process; and as with all grief, it takes time, for some longer than others. And if anyone comes to the conclusion that the only way you can be a real Christian is to attend church, where does that leave our shut-ins and those in nursing homes? I don’t apologize for my feelings, they’re mine and God allows me to have them plus all the time I need to work through them. Just like life itself, the church has its ups and downs, hurts and confusion, but it’s how it deals with it that matters in the long run. I can’t tell you how many families have moved in and out of the old, weathered birdhouse in our flowerbed in the front yard. I can’t tell you all the materials used to create their nests. I can’t tell you how many eggs were hatched or how many babies were tossed to the ground to fend for themselves. But I can tell you about the family of two living in our nest. I hate change, so it was tough moving from the city of fifteen years to the country thousands of miles away, it seemed, from civilization, wondering if anyone would ever visit us again. To make matters worse, my son had just gotten married and we made our first move ever without him. 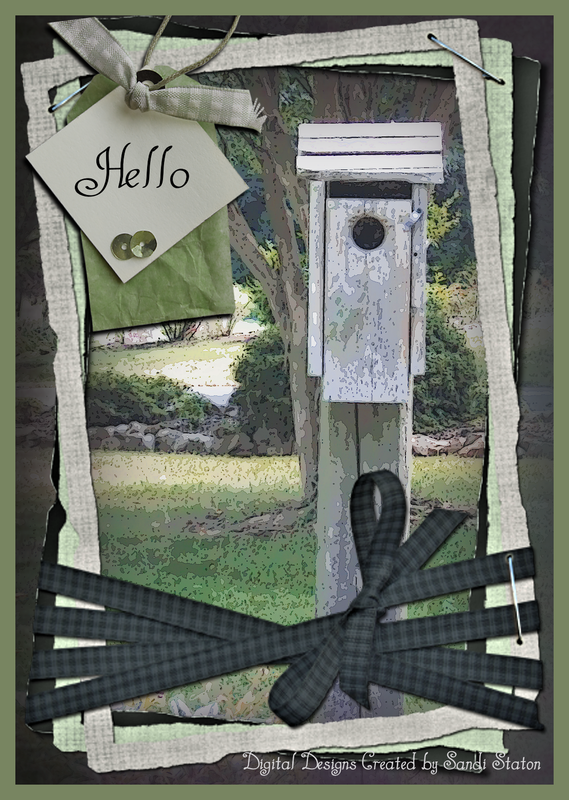 Hardly adjusted to the empty nest syndrome, I felt lost, lonely, abandoned. Walking through each dimly lit room, looking through windows into unfamiliar surroundings only intensified my grief. Finally, I crawled in a corner, buried my face in my hands and bawled. Not quite the reaction anyone would expect after buying a new home. And if my husband was confused, I was totally flabbergasted! But it would be years before I understood why I felt I was living in a house without walls, and before I could honestly call it “home, sweet home”. Before moving, my mother and I hadn’t spoken to each other for six years. Because of her abusive childhood, she had a ton of emotional baggage that she dumped on me. I was her scapegoat for everything that went wrong in her life. Being just a child, I couldn’t process the guilt and shame that I felt, so I internalized it and became an emotional time bomb of anger and rage. My dad wasn’t much help either. He just sat drinking coffee, smoking cigarettes, and staring into space. He rarely, if ever talked to me. And when mom was in one of her rages, daddy got up and went to his shop. There was no place for me to go except my tiny bedroom. Even there I wasn’t safe from her barging in, slapping me around and screaming and yelling. Most of the time I didn’t even know why she was so angry. My tiny bedroom, insecure as it was, became my haven. I’d go there to cry, draw, play my accordion and sing, write poems, and paint. Hours later I’d come out, hoping to find everything under control; that the “good” mother was whistling and preparing a delicious meal. That daddy was sitting at the table reading the paper. That my brothers were laughing and horsing around. That our family was back to normal again. As I grew older I just learned to cope with the raging war inside. I wore a mask, pretending that everything was okay when it wasn’t. But that was before I stepped into the twilight zone of full blown panic, phobias, and desperation. That was before I turned into my mother. People move to the country for different reasons. Mine was for peace and quiet. The first night in our new home the neighbor’s dog barked nonstop all night long. That weekend, an army of remote control airplanes flew over our property, sounding like a million bumble bees on a rampage. Then came the dirt bikes and four-wheelers zooming through the neighborhood, and boom boxes vibrating the windows. I felt that I had died and gone to hell! I’m a runner when things get tough, so I cried and begged my husband for us to move. But we couldn’t afford to move. This was to be our final destination, where we would retire and grow old together. The choice had been made, the money had been spent, and there was no way out. I had never felt so frustrated, so helpless, so hopelessly trapped as I felt during the first ten years of living in this house. Sometimes I could barely make it through the day without crying. Other days I’d go through uncontrollable fits of rage. The least noise threw me in panic mode and I wanted to bolt out the door and run off the face of the earth! I believe in God. I believe in faith. I believe in miracles. I also believe that God gave me a brain and expects me to use it. So I began researching my phobias online as well as proper treatment for them. Not that it came as any surprise; I have an anxiety disorder and will be on medication for it the rest of my life. My only regret is that a doctor didn’t diagnose it sooner. I would have been a far better person, wife and mother. I would have spent the days laughing more and crying less. I would have been more trusting, caring and loving. I would have embraced our home and felt safe as I do now. But I can’t dwell on all the-would-haves of yesterday. My focus is on doing my best today with all the wisdom and understanding that God has given me. Our neighborhood is much quieter now. Not because I’ve lost my hearing, but because I fought for a noise ordinance and won, and confronted the property owner where the club members flew their planes. They found another place to meet. Highway Patrol eventually weeded out the dirt bikes and four-wheelers. The dogs don’t keep me up barking all night. I didn’t shoot them, I wear earplugs. My mother and I worked things out. Although our relationship was never what I wanted it to be, it was the best it had ever been. Had we not stayed and worked through our difficulties we would not be experiencing the peace and joy we have now. I’ve learned that running from my problems never solves anything. Sometimes we have to trudge through the mire of painful memories before we can experience real joy and happiness. I will always have anger issues, but talking and medication help me keep it under control. God has a plan for each of our lives. He wants to have a personal relationship with us. He wants to free us from our fears, our anger and rage, our rusty chains of the past. And He will do whatever it takes to help us see the brokenness within so that we can experience His healing touch. Together we’ve built our nest, my husband and I, securing it with love and faithfulness, prayer and dedication, honor and praise. We are blessed with four awesome grand-children and a great-grandson on the way. We’ve weathered the storms of sickness, sorrow and grief. We’ve argued, kissed and made up. We share our failures and shortcomings, hopes and dreams, fears and concerns. Best of all, we are sharing our golden years together; hand in hand, heart to heart . . . till death do us part.